In 2012, an Australian billionaire named Clive Palmer announced to the world that he was going to build a “near replica” of the most famous ship in the world, the RMS Titanic. Palmer also claimed that he was going to make the class situation exactly like it was in 1912, and that the three different classes that would be separated. However, since the 2012 announcement, Palmer has released a lot of information about what the replica ship, dubbed Titanic 2 would be all about, but so far, very little has come of it, and the keel has not even been laid. Now, two years later, the world is asking, will Titanic 2 truly happen or is this another publicity stunt that Clive Palmer is known for? Clive Frederick Palmer was born on March 26, 1954, in Melbourne, Australia. Palmer is the owner of his own company named Mineralogy, which is a mining company that specializes in the mining of iron ore. In addition to Mineralogy, Palmer owns other companies such as Waratah Coal, Queensland Nickel, plus several resorts in Australia. In addition to owning many companies, Palmer is also a professor of management at Bond University, and has been invited to speak all around the world. From all of his holdings, Forbes magazine estimated that Clive Frederick Palmer is worth around $900 million dollars. 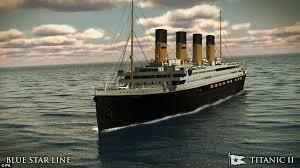 On April 15, 2012, the world remembered the 100th anniversary of the sinking of the RMS Titanic. Also in April of 2012, Clive Palmer announced to the world that he was going to build a near replica of the Titanic that he named Titanic 2. Palmer promised that the replica would be just as luxurious as the original Titanic, right down to the three separate classes. 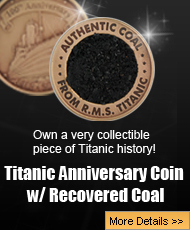 The replica ship would also pay tribute to not only the hardworking Harland and Wolff shipyard workers that built the original Titanic, but also honor those men, women, and children who lost their lives that long-ago April night. Though the Titanic 2 will be just as luxurious as her predecessor, Palmer also claims that the ship will be safe because it will have the latest radar equipment, plus a special deck that is dedicated to safety. Titanic 2 will contain lifeboat seating for all passengers and crews, and they will be launched from the special safety deck. 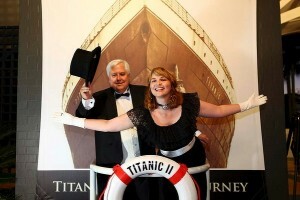 Controversy Surrounding Clive Palmer – Is Titanic 2 Just Another Publicity Stunt? Clive Palmer has stated that the CSS Jinling Shipyard is going to build the Titanic 2, and as of February of 2013, a contract has been signed between Palmer and the shipyard, but construction has yet to begin because the shipyard simply does not have the facility to handle building such a large ship and will have to undergo a major upgrade in order to handle the construction. The question everyone keeps asking in the almost two years since Clive Palmer’s announcement is… will Titanic 2 happen or not? Clive Palmer is no stranger to making headlines, and has made quite a few in his day, including his plans to make his own Jurassic Park and plans to create a company that would build Hindenburg-type airships. However, despite Palmer’s announcement to create Zeppelin International, no company was formed and no airships were ever built, which has earned Palmer a reputation for a man with big plans that never become a reality. There is a Titanic 2 website that has information about the ship, the building of it, and the history of the first Titanic ship. The website also features a direct link to the Blue Star Line website, which has all the latest news about the ship and an interactive 28 page E-book that contains pictures of what the Titanic 2 will look like. This includes all of her luxurious fittings and her high-tech safety features. Recently, Palmer also released a 17-minute video that shows some of the men and women behind the Titanic 2, including her planning and CSC Jinling employees that are also planning and designing the ship itself. The Titanic 2 sounds like a beautiful ship that will combine both safety and luxury. However, the problem is that Clive Palmer has made big plans before that have never come true and for those that are interested in the Titanic, and now her modern day counterpart, Titanic 2, the wait has been a long time that looks to be even longer. The construction of Titanic 2 has been delayed at least four times, and now the launch date is set to be some time in 2017. For Titanic enthusiasts, all the delays in the Titanic 2’s construction just make it more frustrating, and two years later, the keel of the mighty Titanic 2 has yet to be laid down. 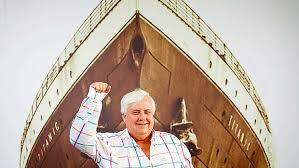 Is Clive Palmer an eccentric billionaire that is all talk and no action? Only time will tell, but so far, Titanic 2 seems more like a pipe dream, and the reality of it ever being built and launched is slowly sinking beneath the waters of the North Atlantic, just like the first Titanic did over 100 years ago. Previous post: A Titanic Mystery – Did A Man Dress Up As A Woman To Escape The Sinking Ship? Next post: Are Titanic Exhibits Around The Country Haunted By The Spirits Of 1500 People?